Fabio is now a Post-tropical cyclone. 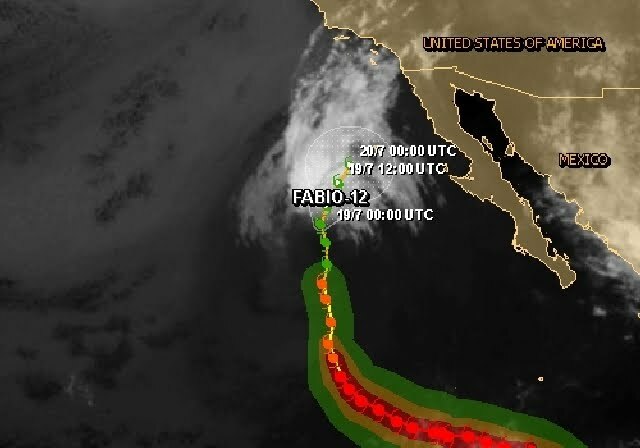 At 800 am PDT the center of post-tropical cyclone Fabio was located near latitude 25.7 north/longitude 120.8 west, about 685 km SW of Punta Baja Mexico and 855 km SSW of San Diego California The post-tropical cyclone is moving toward the north near 15 km/hr. Swells generated by the remnant low of Fabio are affecting the coasts of Baja California and Southern California. These swells could cause dangerous surf and rip current conditions. A broad trough of low pressure located about 850 miles southwest of manzanillo mexico is producing disorganized showers and thunderstorms. Development - if any - should be slow to occur as the disturbance moves westward at 10 to 15 mph. 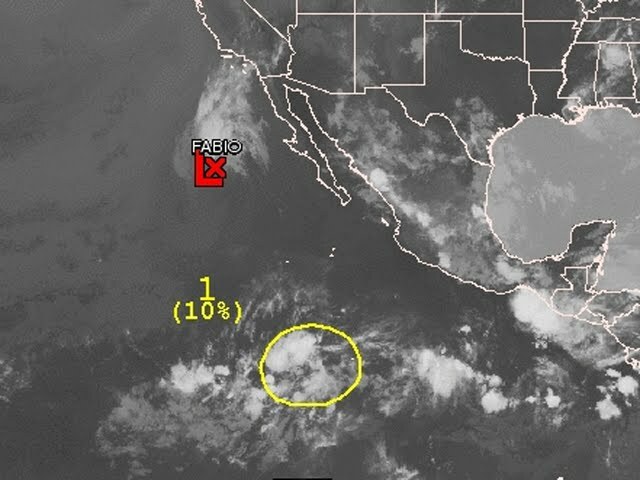 This system has a low chance - 10 percent - of becoming a tropical cyclone during the next 48 hours.